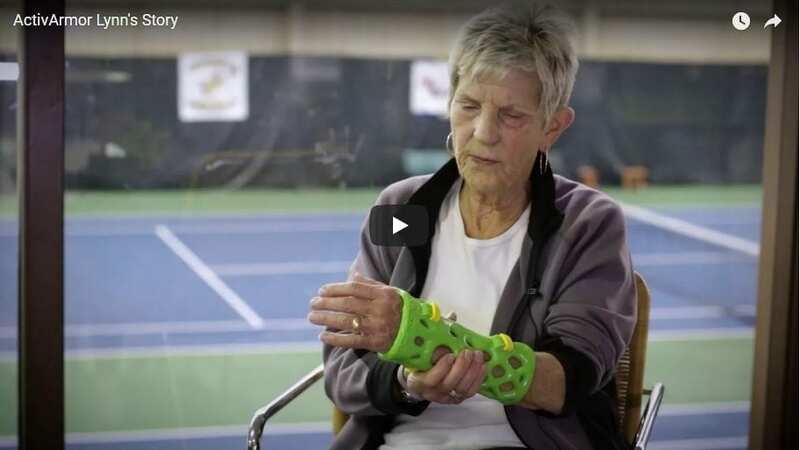 Lynn Schelp, a patient at ActivArmor’s providing clinic in Illinois, Quincy Medical Group, describes her success with this revolutionary, waterproof*, breathable, hygienic, 3D-printed cast. Lynn, an active adult, was being by the orthopedic physicians at the Quincy Medical Group, in Quincy, Illinois. When faced with a choice between an outdated, smelly, plaster cast, or some other old technology for her required immobilization, and ActivArmor(TM), the first and only commercially available 3D-printed, watersafe, breathable, and fully custom cast or splint in the US, the choice was obvious! For more information visit ActivArmor.com.. And if you are in the central Illinois area, come visit the facility at Quincy Medical Group.